No matter what type of precautions you take as a homeowner, house fires can happen and cause devastating damage. Because you have no advance warning in these situations, it is best to be prepared for the worst. Follow these straightforward fire safety tips to better protect your home and family. You may know people who have experienced loss because of a house fire or seen heartbreaking news stories about it. A random lightning strike or a mishap with a candle can result in significant property damage and injuries.Cooking fires, issues with electrical wiring, or a stray spark from the fireplace can escalate to a dangerous blaze in seconds. While some fires can be prevented by taking extra precautions, it is not always possible. 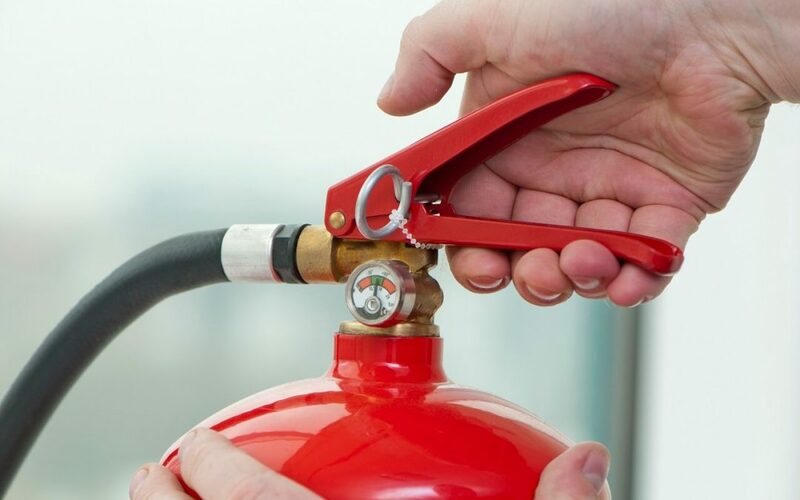 These fire safety tips will prepare you for dangerous situations. One of the most important home fire safety tips to follow is to create an evacuation plan with your family. Many people have suffered injuries that could have been avoided if they had an exit strategy in mind ahead of time. Everyone should know the safest way to exit the home from each room. If necessary, invest in rope ladders to safely exit from higher levels of the home. Children should be instructed to exit immediately rather than to gather toys or wait for other family members. The purpose of smoke detectors is to alert you to a fire. This warning is critical for you and your loved ones to get out of the house safely. Make sure that you have smoke detectors in all the necessary places: inside and outside of bedrooms and near the kitchen and laundry room. Check the batteries often, such as at the same time you replace your HVAC system’s air filters. A fire extinguisher is kept under the kitchen sink in most homes. However, many people do not know how to use this device and may have never tested it. You won’t have time to read the label on a fire extinguisher when a fire starts. Learn how to use it now so that you will be prepared in an emergency. The materials that your home is built with and the items inside your home impact how quickly your home can go up in flames. For example, fiberglass installation is more flammable than foam installation. Many bedding products today are fire-retardant, so check for those labels on your bedding and replace if needed. When making any improvements to your home or adding new products to the interior, choose the fire-resistant option. If you are not already using these fire safety tips at home, now is the perfect time to begin. Eagle 1 Home Inspection Services provides home inspections and related services to San Bernardino and Riverview Counties. Contact us to request our services.